Kit will provide a water-tight connection when splicing wires. Apply heat to connector after splicing. Connector will shrink forming a tight seal. 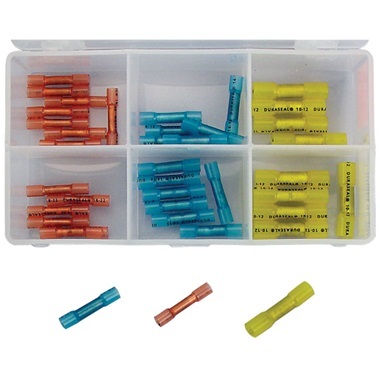 40-piece kit has 3 different size connectors for use with 22 to 10 gauge wire.